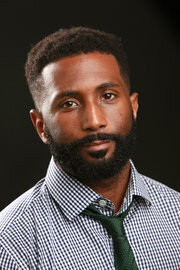 Wesley Morris is the critic at large at The New York Times and a staff writer for The New York Times Magazine, where he writes essays and criticism across disciplines and responds to cultural events as they happen. Prior to The New York Times Morris was with Grantland, where he has written about film, fashion and music. He spent 10 years at The Boston Globe, where he won the 2012 Pulitzer Prize for Criticism. Morris and colleague Jenna Wortham host a podcast called Still Processing, produced by The New York Times and podcasting company Pineapple Street Media.